(Natural News) Elizabeth Warren has thrown her hat into the 2020 presidential election, and she is already pandering to voters with promises of reparations and housing as a “human right.” It is no secret that the housing market has blown out of proportion, but how involved the government should be remains up for debate. Under Warren’s proposal, Big Government will take on housing much in the same way socialists propose we tackle healthcare. So if you think universal healthcare is a sign of government overreach, you can bet any movement towards “universal housing” will follow the same trajectory. Everyone in America has the right to own or rent a home, and in the truest sense of the word “right,” everyone in America already has the right to housing. Having the right to own something does not imply that you are automatically entitled to possess that thing. Every American has the right to own a gun (with a few exceptions, of course) — and yet, you don’t see Second Amendment supporters declaring that gun rights should equate to government-sponsored gun ownership. The right to housing does not guarantee you will own your own home. What Elizabeth Warren is talking about is not a human rights issue — it is a government power issue. Leftists are now touting housing and healthcare as “human rights,” but their intentions are not as benevolent as the media would have you believe. This is not to say that some people shouldn’t have access to housing and healthcare; clearly, these are very important things. In an ideal world, everyone would have a home and no one would ever be sick or injured and unable to pay for care. But we do not live in an ideal world. Liberal politicians seem to thrive on the notion that if we just give the government enough power, suddenly all of our problems will disappear. Even Elizabeth Warren is guilty of painting a picture in which Big Government reigns supreme, providing “equality” to the little people who couldn’t function or care for themselves otherwise. “So I believe we should make a big investment in housing and by the way, if we do that, independent analysis says that we would lower rents across this country by 10%, and that’s across the board and we create an opportunity for more people to become buyers. 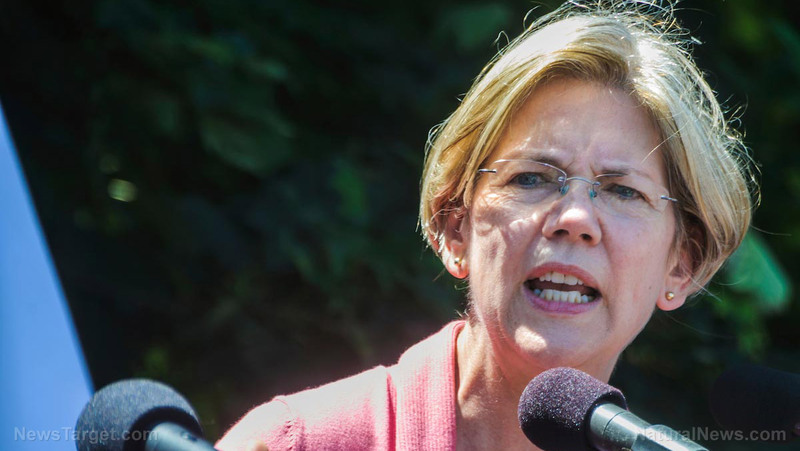 So housing is important,” Warren stated further. Between Warren’s housing proposal and the Green New Deal, it seems the Democratic party is planning a soul-crushing 10-year tax extravaganza. How else will the federal government accrue the billions of dollars necessary to make these insane proposals a reality? Everyone has the right to own a home in America. But that right is not a guarantee. Warren and her ilk are not just proposing housing as a human right; they are proposing a total restructuring of American society. Warren claims that because of “housing discrimination,” whites are wealthier than blacks — and further contends that only Big Government can fix America’s racial issues, through government acquisition of more social housing. There is no doubt that racism is a sore spot in the United States, but liberals pour salt into the wound for their personal gain. Warren has yet to explain exactly how government housing will suddenly turn poverty into prosperity. More to the point, guaranteed housing, guaranteed healthcare and guaranteed jobs are all hallmarks of a socialist society run by Big Government. The price we pay for freedom is uncertainty — but the reward is the chance for success. See more coverage of stories like this at LeftCult.com.